Sunshine Burgers collects information from you on its website in two ways: 1) personal information provided by you on the website and 2) through the use of computer cookies. 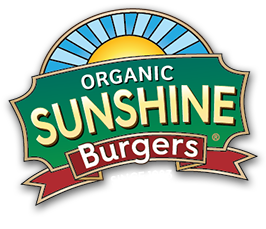 Sunshine Burger currently has a Facebook site, intends to launch an electronic newsletter and may launch other electronic products in the future. In order to receive these products, it is necessary that you provide us with information, such as your name and email address. In addition, we may ask for additional optional demographic information so that we can provide you a more personalized experience on our site. Finally, if you choose to use our referral service to tell a friend about our company, products or website, we will ask you for your friend’s name and email address. We will automatically send your friend a one-time email inviting him or her to visit the website. Sunshine Burger uses the information we collect from you to customize content we deliver to you on our website and through our newsletter, provide you with information or services you request, conduct research of our website’s visitors for use in our business and product planning and improvements, and to improve our overall service to you. Sunshine Burgers will at no time use your personal information for any other purposes or allow third parties to use your personal information for their own use, except to provide services you requested on our website, or as required by law. We DO NOT link aggregate user data with personally identifiable information. We DO NOT sell or provide personally identifiable information to unaffiliated third parties, except to third parties who help us deliver information that you have requested, or as required by law. We will provide your personal information to our business partners solely for the purpose of them providing a requested service that we cannot. In addition, we will only share personally identifying information with these business partners if they agree not to disclose the information to other parties and agree not to use this information to solicit from you. We DO NOT collect or use any online contact information or identifiable off-line contact information about a child without parental consent. We DO NOT allow children to post personal information without parental consent. We DO NOT entice children with games or contests that would encourage them to disclose personal information. To comply with the Children’s Online Privacy Protection Act, we ask that children under the age of thirteen not be allowed to provide any personal information on this website. This website contains links to other sites that are not owned or controlled by Sunshine Burgers. Please be aware that we are not responsible for the privacy practices of such other sites. We encourage you to be aware when you leave our site and to read the privacy statements of each and every website that collects personal information from you.